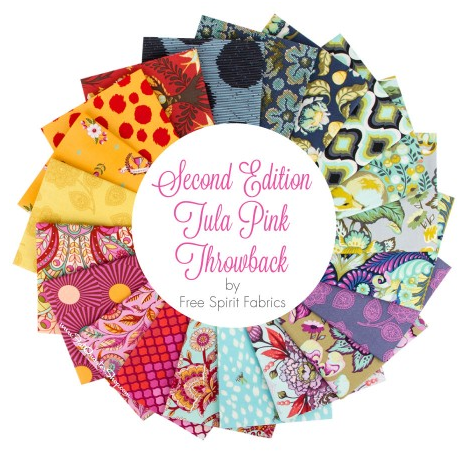 Green Fairy Quilts sponsors again in August! Have you ever seen a green fairy? 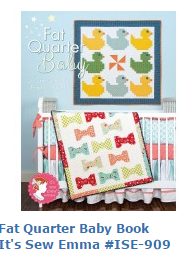 Many of you know our buddies at Green Fairy Quilts. 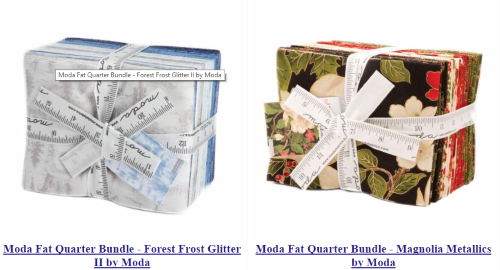 Clint and Judi Madsen have a lovely store filled with gorgeous pre-cuts! 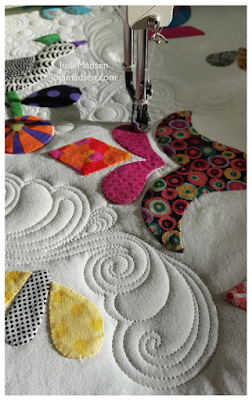 She works magic as she quilts -- so inspiring! I know I may have lost half of you by announcing that, cos that is a great sale, and y'all are probably clicking and drooling now. French General for Christmas! Yummy! 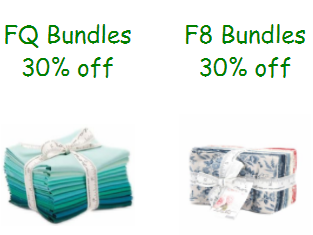 And check out these new bundles, too! 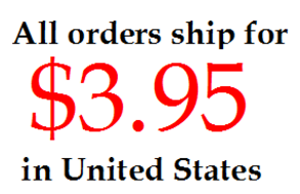 Truly wonderful shipping -- one low rate for all orders in the United States! 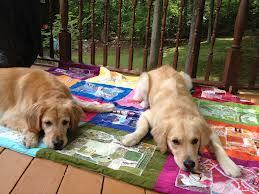 The Green Fairy Quilts team is sponsoring a prize in our Pets on Quilts Show again this year! 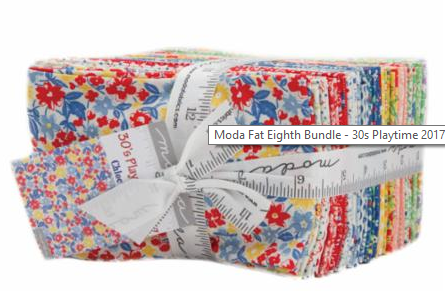 It's a HUGE bundle of fat eighths!!!! Here's what I'd like for you to do.....make sure that you are signed up for the newsletter that the Green Fairy team sends out. 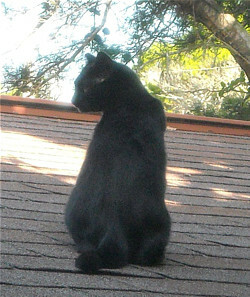 While you are there, take your time and look around....there may be some lovelies that want to come home with you! 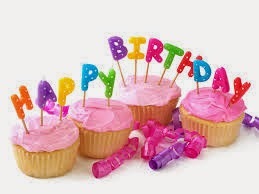 And then, hop over to Judi's blog and check out what she's been up to. And if you have time, leave a comment to thank them for sponsoring our show in August! Thank you, Green Fairy Quilts! Sponsoring our show in August! FQS! This is one of the Fat Quarter Shop's older bloggie buttons.....but it expresses the idea very well! They really DO have so much (excuse me) sew much more than fabric! 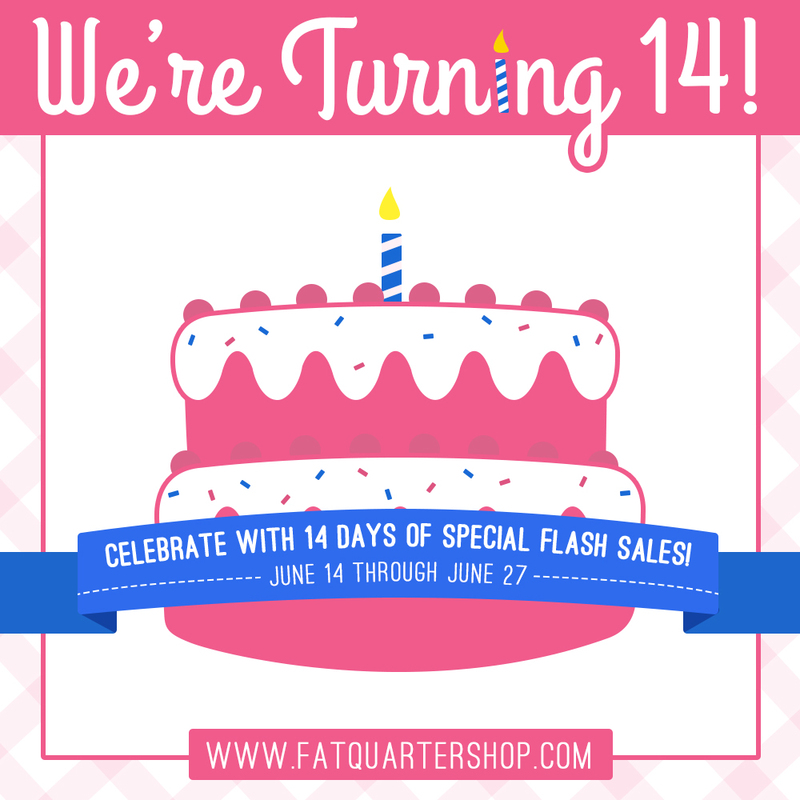 In fact, right now they are celebrating their fourteenth birthday with some awesome flash sales! 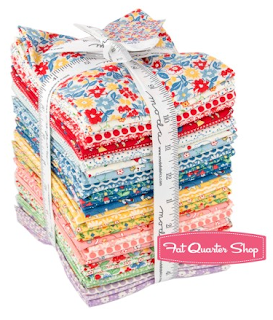 The Fat Quarter Shop is offering TWO prizes for our Pet Show in August! That's right! 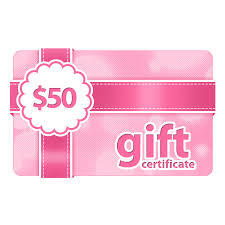 TWO lucky winners in our show will each have a shopping spree! And remember what we said about MORE than fabric! Yes, they have lots of choices there, but so much more, too! 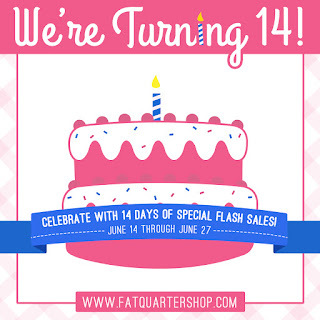 So, happy birthday to the Fat Quarter Shop! And many thanks for being a repeat sponsor of our Pet Show! For being a PR Angel, you'll qualify for extra entries in the prize drawings in August -- and those of you who've partied with us before know that it's a stellar party with awesome sponsors and prizes! Accept our heartfelt thanks for helping to spread the word! 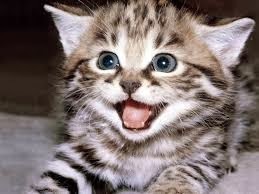 The more the merrier, when it comes to our annual Pets show. It's an awful lot of fun to scroll down through those linky party pictures and visit all the adorable pets and inspiring quilts! More sponsors, prizes and quilting merriment and mayhem coming soon! Our Pets on Quilts show is coming! In August! And our first sponsor feature is for a brand new sponsor! But I think you will remember them. 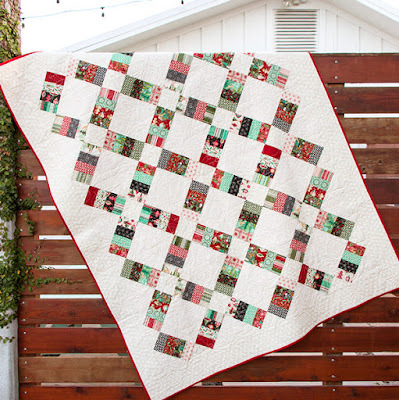 The Quilt Pattern Magazine is an awesome resource, and they are also a partner to those of us who have a squishy place in our hearts for rescue pups and kittens! 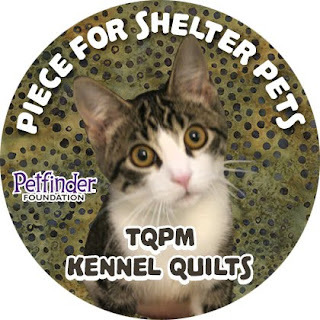 Remember these cuties in our alerts from the TQPM Small Kennel Quilt team? Just wait until you hear -- there is so much more! The Quilt Pattern Magazine is not one that you will find sitting on the shelves at your local grocery store. . . . it's a digital magazine! And there is so much included! Seriously. I was so impressed. Let me tell you about it! It's like a cool doorway into an online community of designers and quilters. There are patterns, BOMs, mysteries, and workshops. Each time a new magazine is released, you'll be able to download it and then if you like, print it out! Or just print out the pattern(s) that you find most interesting! 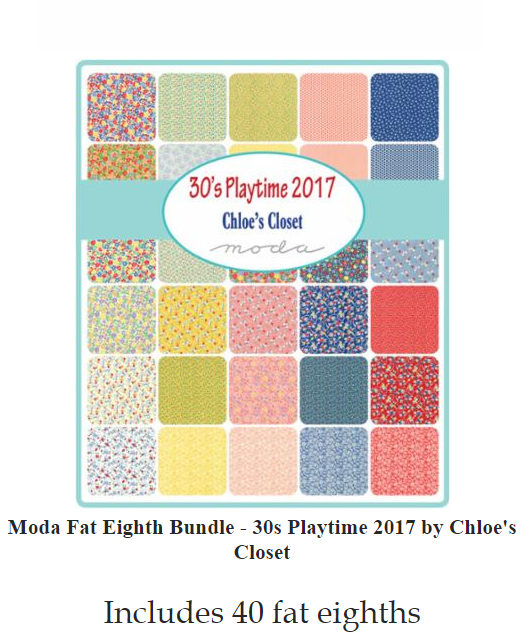 The patterns are in pdf format, and are formulated to use ink sparingly, so no worries about printing the templates and patterns! There is an exclusive group called "Pattern Pastiche" -- it's a members-only area where you can connect with other quilters, share thoughts and tips, show off your projects, and even create your own page! You can meet the magazine staff, and chat with other Pastiche members. When I was checking out their site (here's a linkie) I saw a great Tutorials page -- lots of good information there! And I noticed that if you subscribe, there's a bonus of five free patterns! Woot! 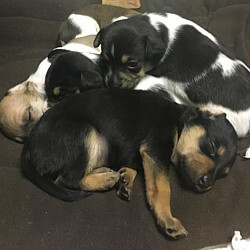 If you are interested in helping with the Kennel Quilt efforts, you can sign up to be alerted to the needs of the shelters who ask for little quilted that can be washed and re-used. These are important to help rescue pups and kitties get the rest and comfort they need -- plus, some shelters use the kennel quilts as backgrounds for the photos, and those great snapshots bring in prospective pet families! If you click on that link up there, you will find tips to make the kennel quilts sturdy and long-lasting! Go to their site and check out all the bells and whistles -- I think you'll be impressed! And maybe you can make a kennel quilt or two, for the current shelter needs! More sponsor merriment coming your way soon! Coming soon! 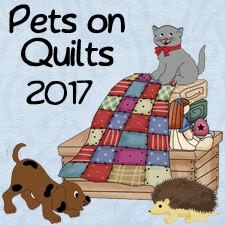 Pets on Quilts 2017! Competition is always fierce . . .
We're hoping you will join the fun! Our sponsor features begin soon, so stay tuned! 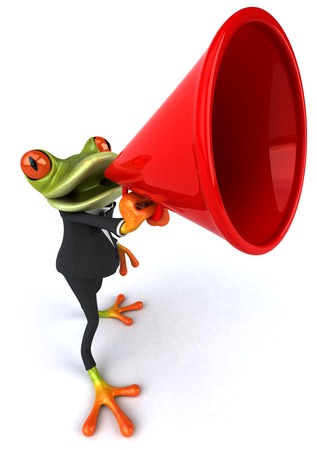 We'll have more news soon on our blog button and much more! Today's post is so much fun! Step one is to choose a jelly roll . . . maybe you are like me, and you'd been saving, er, hoarding one that you particularly like -- get it out and use it! And if you don't have one you'd like to use, head right over to our buddies at the Fat Quarter Shop and pick one out! I had this one from Moda for a long time, waiting for just the right project. 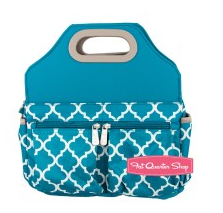 It's a cute collection of fabrics called "Sophie." Here are the strip sets, and the triangles all cut out. I'll be giving you some tips that I hope will be of help to you -- the first one is that I starched all my squares before cutting them into triangles! Those puppies are just a tad stiff, and they'll stay in shape when I stitch 'em up! See how the triangles go on the ends of the strip sets? Woot! 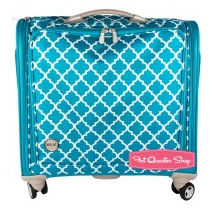 Here is a tip for making that easy-peasy, and having them squarely in the middle of the strip . . .
Now just line up the creases and stitch in your quarter inch seam! You can see from the creases that I did the same thing with the larger triangles that you stitch to the long edges of the strip sets, too. It makes lining things up so easy, and so accurate. Now, once that is done, you have a block to square up! I love it so much I'm going to show you the finished top again! This is a great size for a twin bed -- check this out! I hope you enjoyed this little visit to the Lilypad, and that you will hop over to the Fat Quarter Shop blog to see the other bloggers' versions of this cool shortcut pattern! 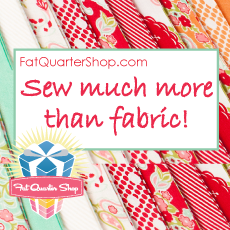 The Fat Quarter Shop folks have put together a video for you, too, so I expect there will be a lot of you trying this out -- easy and fun are super words to put in front of the word "quilt." I know, right?